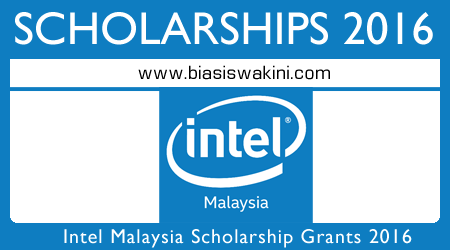 Intel Malaysia Scholarships / Biasiswa 2016. Every year, Intel Malaysia grants scholarships to all outstanding talents from various local and private universities throughout the Malaysia. This year is unexceptional. Those who are qualified are invited to apply this new Intel Scholarships 2016. - Be a Malaysian citizen. - Be a full-time student in a local university studying in the fields of Electrical and Electronics, Computer Science and Engineering, Information Technology, Mechatronics, Physics, or Computer Engineering. * SPM with A1 for mathematics and all science subjects. * STPM with grade A for a minimum of three subjects. * Matriculation with a minimum cumulative GPA of 3.5 and above. * For university undergraduates, a minimum cumulative GPA of 3.5 is required. 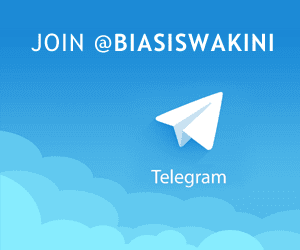 **Note: Perbadanan Tabung Pendidikan Tinggi Nasional Malaysia (PTPTN) loan holders are allowed to apply. Partnership with a senior employee to mentor and guide your studies and career planning. **Note: The amount may vary according to the university. How to Apply Intel Malaysia Scholarships 2016? Complete the Scholarship Application form here. 7 Komentar untuk "Intel Malaysia Scholarships 2016 - Biasiswa Intel 2016"
Thank you Wan Aidil for your updated link on Intel Malayia Scholarships program. Noor already updated as well in this post. Why there is an error for that link? Hi Lewis, the link already corrected now. when is the closed date to apply?